The approach includes multifaceted sector- and feasibility studies to strengthen facilities and services in agricultural value chains. 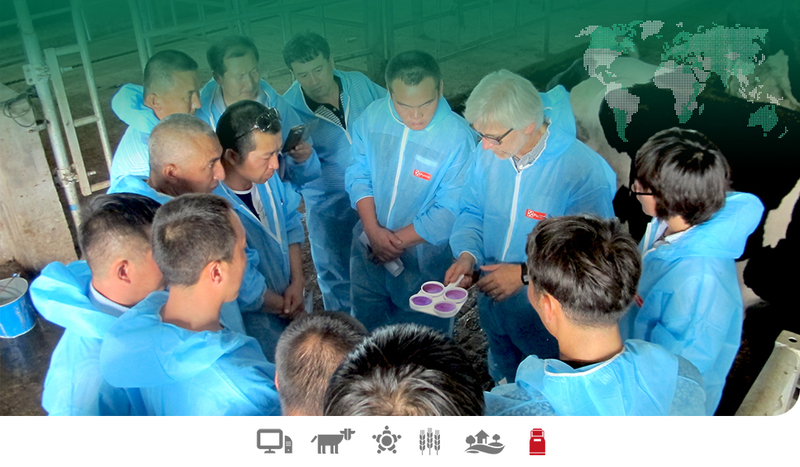 In this context we implemented solutions and information systems for the health and traceability of animals and the quality and safety of animal products. 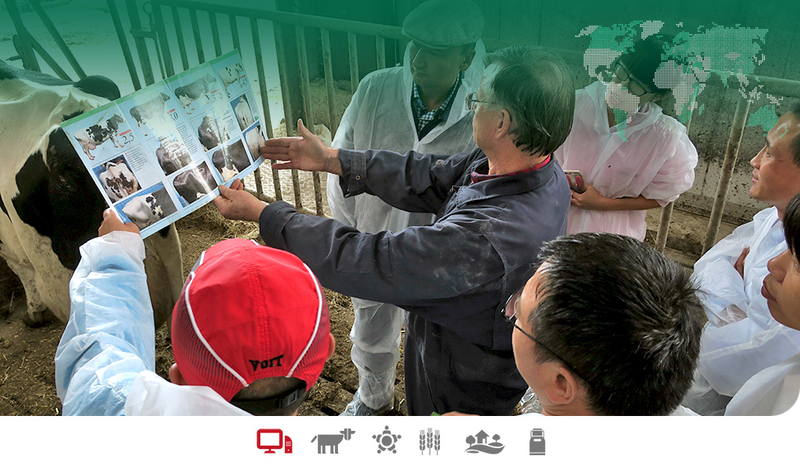 Livestock production systems are a key area of competence and expertise. 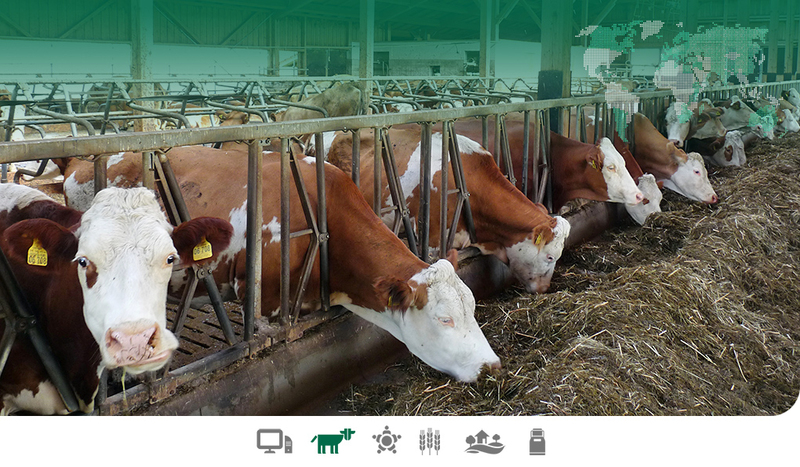 Particular focus has been on animal breeding and animal health, feeding and production management as well as herd management and livestock farm technologies. The impact of livestock on the environment and animal welfare are recent areas of strong interest. We offer expertise to update tertiary and technical training curricula with the objective to have a longer term impact in basic and post-graduate training. Most of our projects have integrated elements of sector specific technical training courses, practical as well as theoretical, sur place as well as abroad. 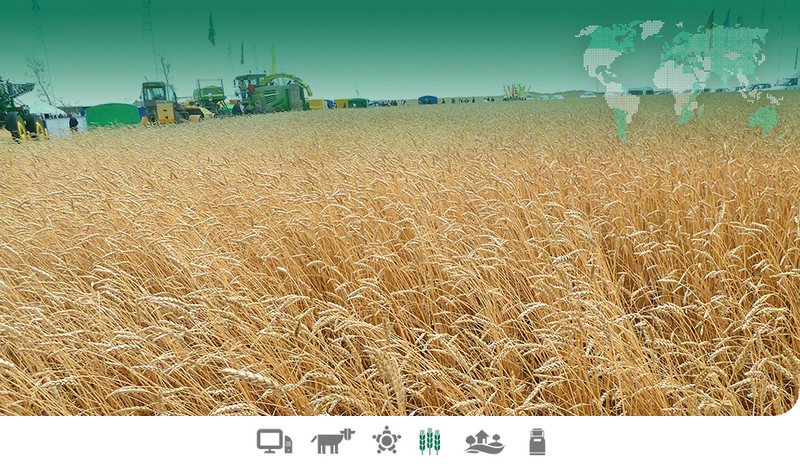 We promote an integrated and sustainable approach to crop and forage production. The services range from plant breeding, cultivation technologies, enhancement of plant productivity and biodiversity, harvesting technologies to pilot demonstrations and effective post-harvest management. A holistic and multi-facetted approach is taken to Rural Development projects. 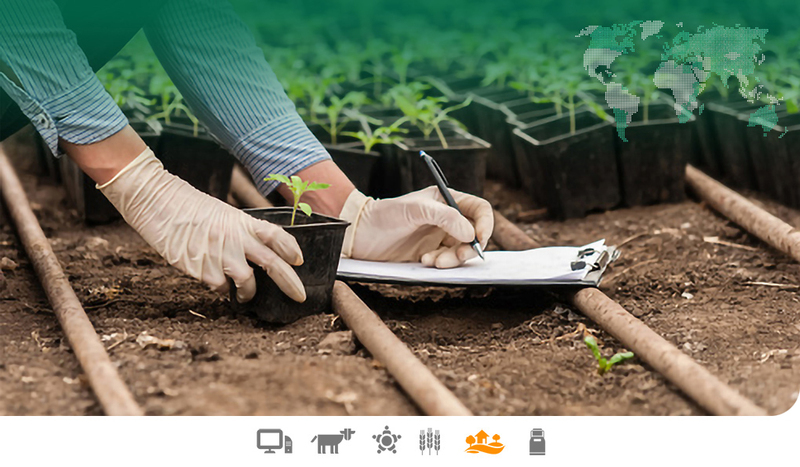 Technical expertise is available to translate results from sectors studies into the most appropriate strategies on agri – environment, organic farming, peri-urban farming and integrated farming. Services and expertise are provided in animal health with a focus on the One Health Concept; Veterinary and food legislation and policy and their practical application in food safety and consumer protection. Our vision is a sustainable and competitive agriculture in tune with the environment, healthy and safe food that complies with international quality and safety standards and consumer expectations. With our services we want to contribute towards exploiting the development potential in the agricultural and the food sector and its adaptation to future challenges of climate change and scarcity of natural resources as well as promoting international co-operation and rural development. 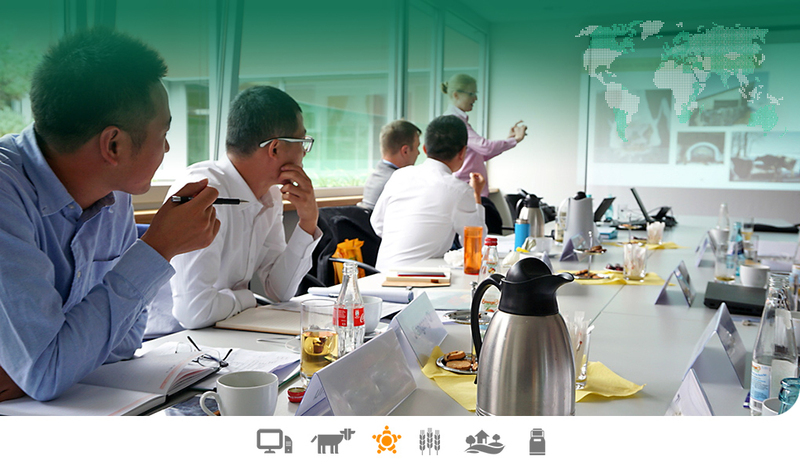 ADT Project Consulting GmbH stands for both the position we have reached today and our future orientation as a consulting company in the international agricultural and food sector. “ADT” means expertise, reliability and well-established networks including farmer associations, specialist institutions and service providers in the sector. Our shareholders are six national umbrella organizations of German animal production, which are supporting us with their large network at national and international level. Worldwide experience with different production systems and value chains, both for small farmers and specialized large enterprises under a variety of economic, ecological and social conditions, makes us today a worldwide competence partner in the development of a modern, competitive and sustainable agricultural and food sector. 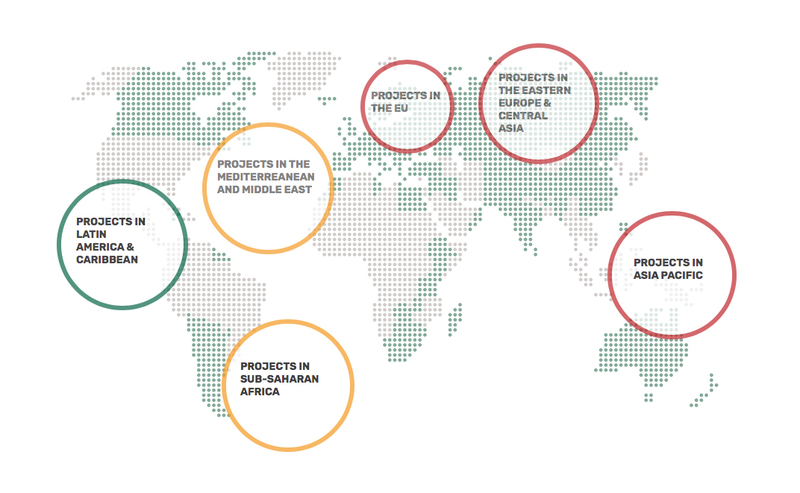 Please use the filter to select projects by region and click on the country to go to the selected references pages.